Recently, Transparency International came out with their Corruption Progress Report for 2014. A promise was made about 15+ years ago by many of the world’s leading economies to prevent corruption and bribery. They seem to failing. 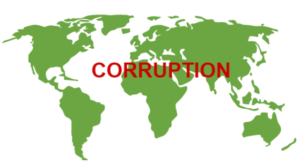 The Organisation for Economic Co-operation and Development’s Anti-Bribery Convention, adopted in 1997, was a pledge by signatory countries to make foreign bribery a crime and hold organizations, and individuals accountable for their actions. Approximately 2/3 of the world exports, 41 countries, signed this agreement. But here we are in 2014 with only four of these countries actively investigating and prosecuting organizations that engage in bribing foreign officials – US, UK, Germany, Switzerland. Twenty two countries have little or no enforcement procedures in place to ensure that organizations don’t participate in corruption… and more than likely, you’re doing business with companies in those countries. With enforcement globally increasing in frequency and expanding, it makes sense that organizations devote plenty of attention to anti-corruption due-diligence of third-parties that they engage. The value of due diligence is immense; it provides “red flags” that a particular third-party may be a source of risk. It also helps to satisfy an effective anti-corruption compliance program from the perspective of enforcement agencies. Additionally, effective due diligence may mitigate potential penalties. If a company faces allegations of misconduct stemming from the acts of a third-party it has engaged (in one of those 22 countries, perhaps? ), demonstration of adequate due diligence, and of course, supporting documentation, may significantly offset potential penalties. Due diligence perfectly complements any compliance program. The US DOJ and SEC, and the UK’s Serious Fraud Office aim to tighten the noose around overseas corruption, as such, the perceived level of due diligence will become more onerous. To avoid being held liable for corrupt third-party payments, companies are encouraged to exercise due diligence and to take all necessary precautions to ensure they have formed a business relationship with reputable and qualified partners and representatives. It’s important to ensure that your third-parties are protecting your confidential information, avoiding unethical practices, maintaining a safe and healthy working environment, mitigating operational risks, and, of course, much more. On top of that, you have to monitor third-party compliance with regulations like HIPAA, Anti-Money Laundering (AML) requirements, conflict minerals reporting requirements, FCPA, the UK Bribery Act, the Federal Trade Commission (FTC) Act, and the Dodd-Frank Act. In order to meet these obligations, you need to implement a full suite of solutions for real time search, ongoing daily monitoring, false positive review, enhanced due diligence, ethics communications, management reporting, policy attestation and regulatory alerts. If these processes are not effective, third-party risks could snowball into serious issues that will ultimately affect your profitability and credibility. It’s important to: research, investigate, make enquiries, compile, report, repeat – all while doing it ethically, and fully in the public domain. The purpose of third-party due diligence is to determine whether your third-parties can be reasonably expected to comply with anti-corruption laws in the future after they are hired. By examining their experience, professional reputation, allegations of corrupt activity and the nature and frequency of contacts with government officials, an assessment can be made and red flags can be identified. The best defense to shield your organization from third-party risk is to implement a screening program to monitor that risk.